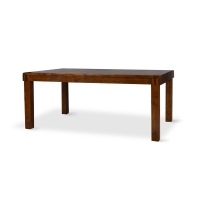 but you can extend it out to 1600 when you need a little bit more table. 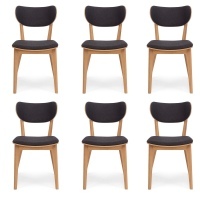 Paired with four matching dining chairs with a oatmeal coloured padded seat. The Irish Coast collection is a tribute to 18th Century Irish carpentry. Ravaged by poverty, craftsmen of the time were forced to salvage discarded timber from the peat bogs after the country had been stripped bare of trees. This resulted in a jigsaw method of construction which became an art form in itself and which craftsmen have lovingly recreated. Solid recycled timber certified by the Rainforest Alliance and FSC approved the Irish Coast is finished in a 7 step process to create a deep, rich lustre that is not only durable but beautiful. 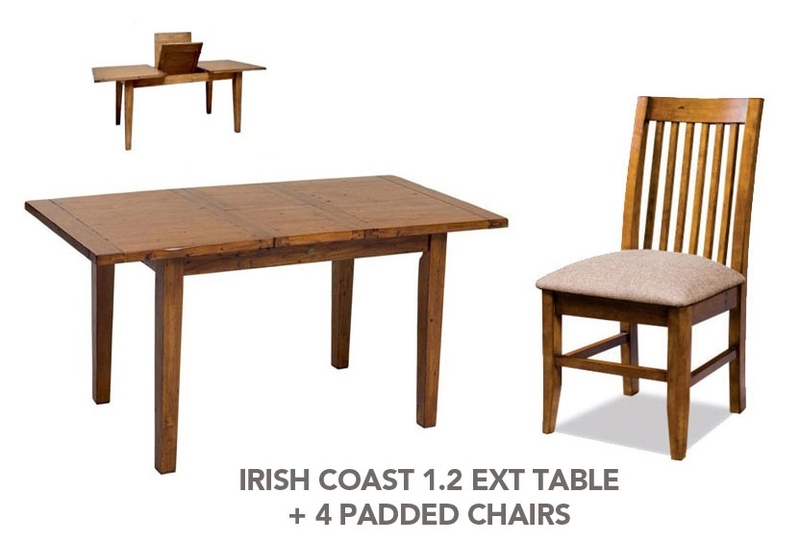 Crafted using traditional methods of joinery the Irish Coast is of heirloom quality and will last you for years to come.